This entry was posted in US Tourist Visa USA and tagged USA Business visa usa business visitors on February 16, 2016 by Blog Author. 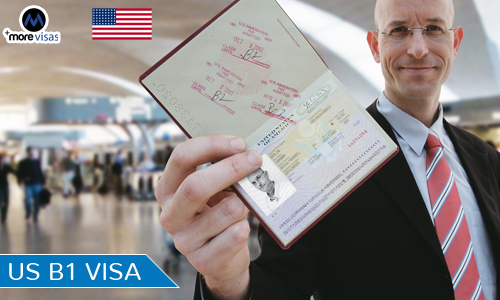 Business tourists might visit the US using this US b1 visa, it is also known as Temporary Business Visitor Visa. The individuals who visit the US would be issued a six months of visa or the maximum period would be around one year. This is quite possible that this visa might be extended further for a period of six months. This visa is for those overseas nationals who seek to attend the business conventions, conferences, meeting with business associates, discussing about the contracts etc. This US b1 visa can be used for doing business activities like meeting with the associates, taking orders, attending the conferences and exploring the opportunities to start a latest business in the US. To obtain this visa the applicant should completely fill the DS form, pay the visa fees and then schedule the interview, take an appointment for this visa and then attending the interview. This US b1 visa is for those entrepreneurs who seek to reside and invest in the economy of the US.